Announcing new music from Bruce, Jamie and Tom! 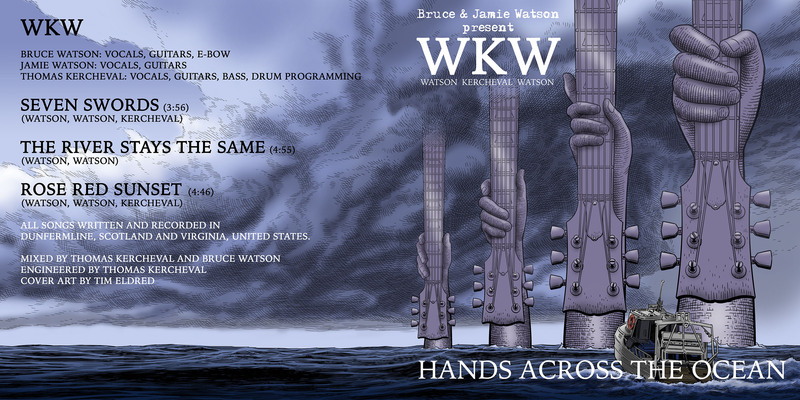 The project is called WKW and an EP entitled “Hands Across The Ocean” is ready for release. Where the title “Hands Across the Ocean” comes from (and what that audio clip in the beginning of the episode was). Discussing the background of the collaboration and the process of working together. Plans and opportunities to promote this release and the music. Musical interlude: Bruce and Jamie break out the acoustic guitars and play “Look Away” especially for Svein. WKW – “Seven Swords” played in full. Discussing the background of the song – its inception, the style, the lyrics. The incredible amount of tracks and layers in this song (80!). A discussion about vocals, singing, and doing harmonies. A useful crash course on Scottish terms of endearment and backhanded compliments. Tom’s experience of receiving the initial music files from Scotland and being given a totally blank canvas to work on them. Tom reveals the hidden KISS reference in this song. WKW – “River Stays the Same” played in full. The approach of reworking this song from the version on the “Portastudio Diaries” album, including adding new parts to it. The process of working on a track, wondering how far you can take an idea, and when you know it’s time to stop. The story behind the “Waaah”-chant. The inspiration behind Bruce’s lyrics and what the song is about. WKW – “Rose Red Sunset” played in full. The genesis of the song, being Jamie’s instrumental piece of music played by Jamie and Bruce and shared as part of the “attic videos” sessions several years ago. The first attempt at using this piece of music in a song, “All Lay Down,” and why that didn’t live up to its potential. Tom added lyrics and a bridge, but the original instrumental piece is front and center of the , just as it needs to be. Jamie’s view of the old Big Country catalogue and how it influences him when he writes. The role of keyboards in Big Country music, and why you never should keep a pint of orange juice near where you keep your e-bow on stage. 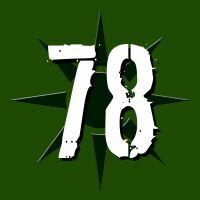 The recording of a music video for “Seven Swords,” including lots of shots from Japan (and other places), greenscreen work, and the clown and the wolfsman. The plans to keep making songs until there is a full album. Will “Crazy Horses” make it on there, and will Bruce manage to get Gene Simmons to sing the “Waaah! Waaah!”-part? A legendary hoedown-performance goes down. The Full Metal Cruise! How did they get booked for it to begin with, and how did it go? Experiences, stories, the metalheads, and setlist approaches. And a small clip of “Chance” from the cruise, complete with power chords. Memories of playing on top of haystacks at the Towersay Festival in August, and of going to Japan before that. The current state of affairs with Skids – the acoustic shows. The story of when Big Country played Exceter recently and met up with Tony Butler.